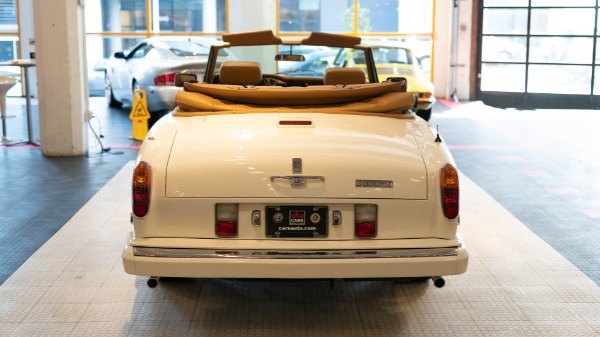 Another incredible piece recently removed from a collection and placed on the market. 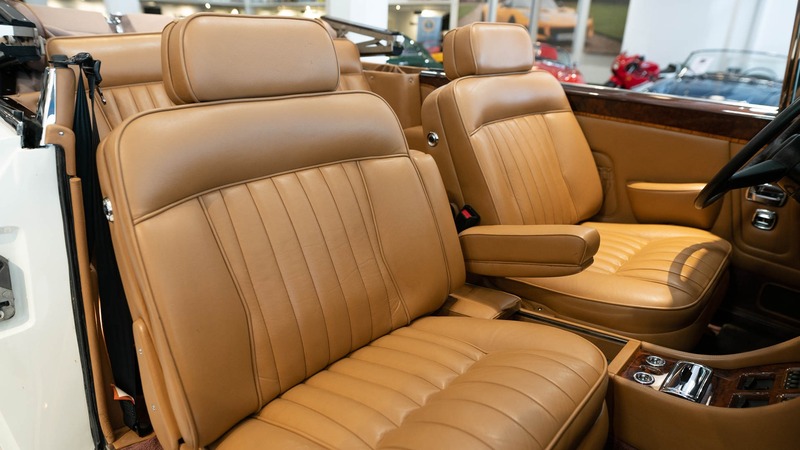 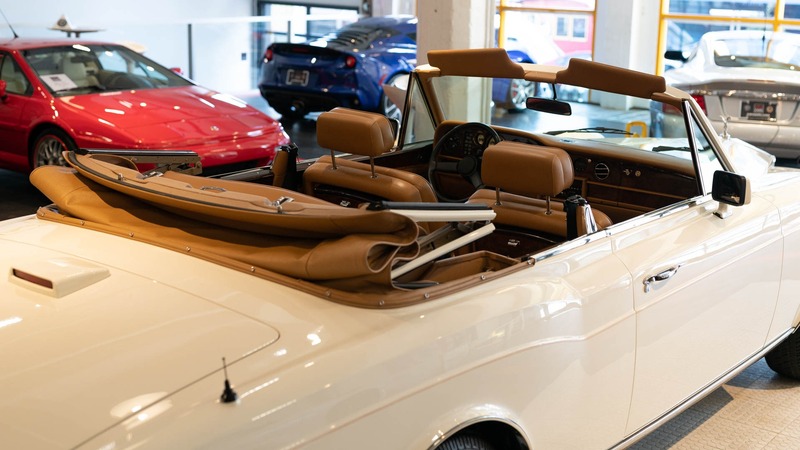 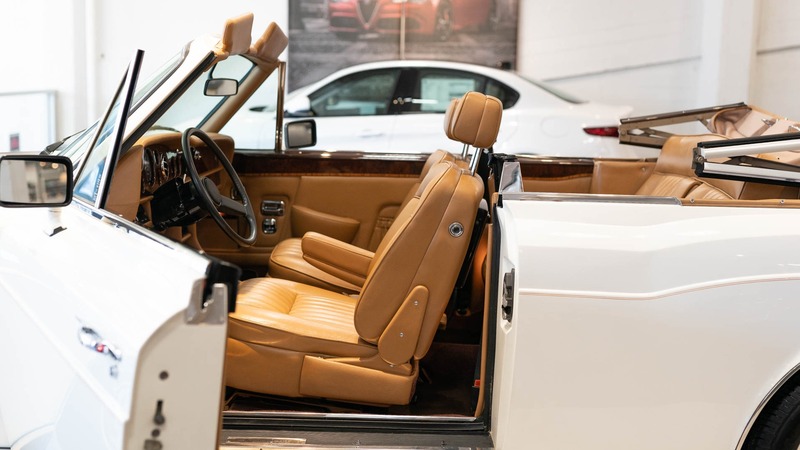 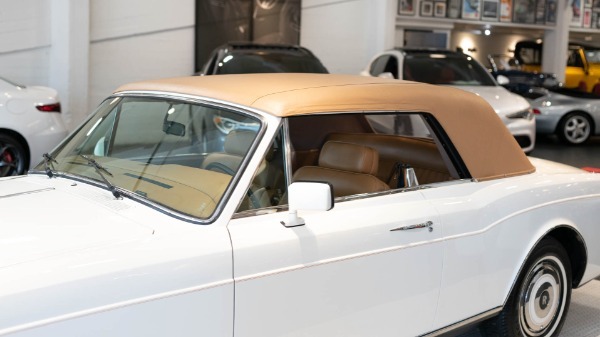 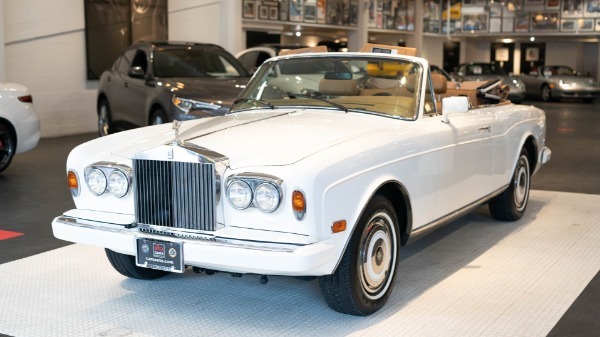 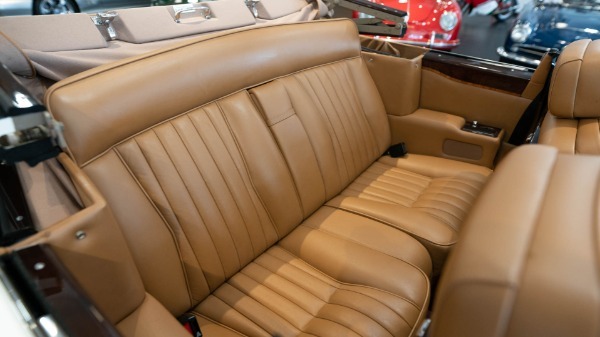 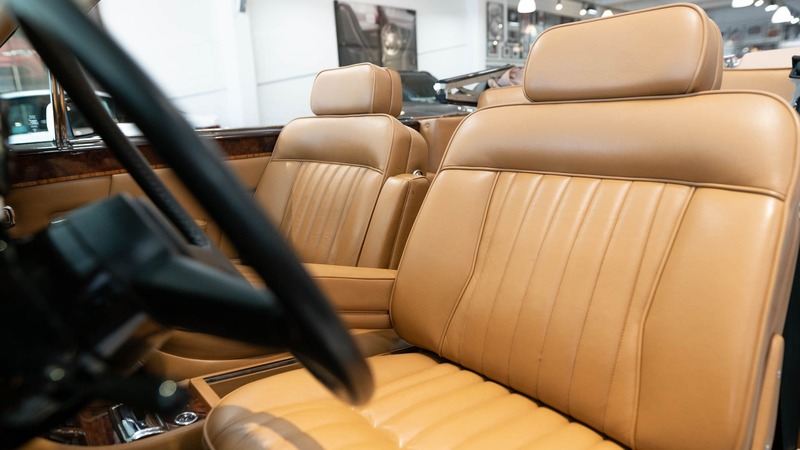 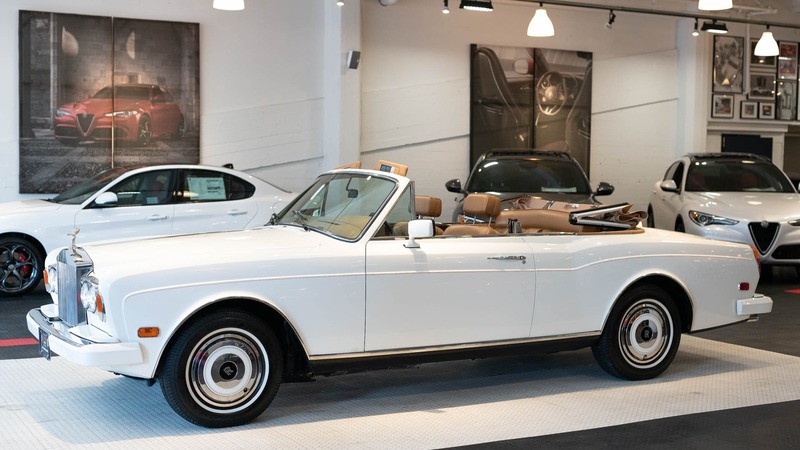 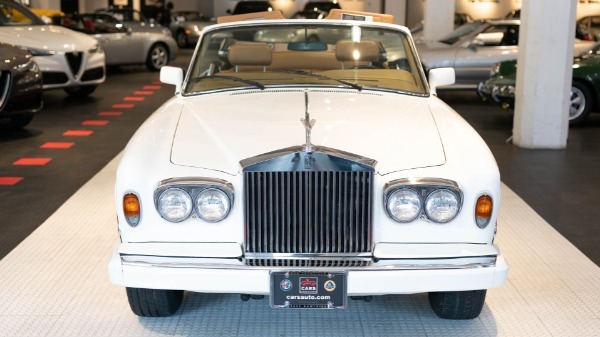 This '87 Corniche II Drop Head is a one-owner with only 8k original miles. 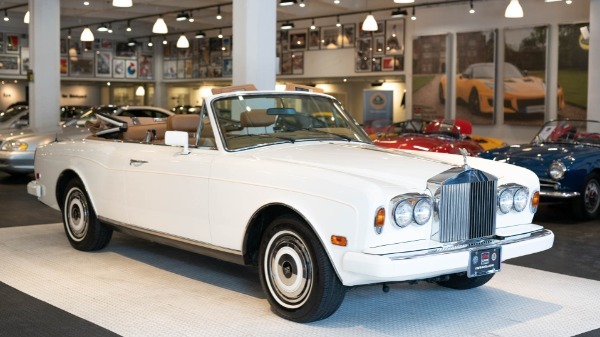 It was purchased new in the San Francisco Bay Area and kept here in climate controlled storage it's entire life. 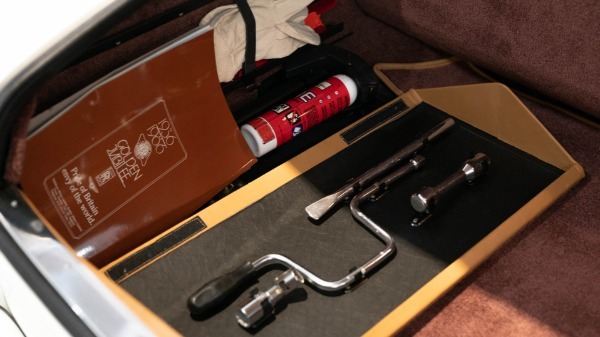 Maintenance records go back to new, and all books, manuals, tool kits, as well as both master keys are present. The original factory paint shows almost as new with the exception of a few small blemishes on the bumper ends. 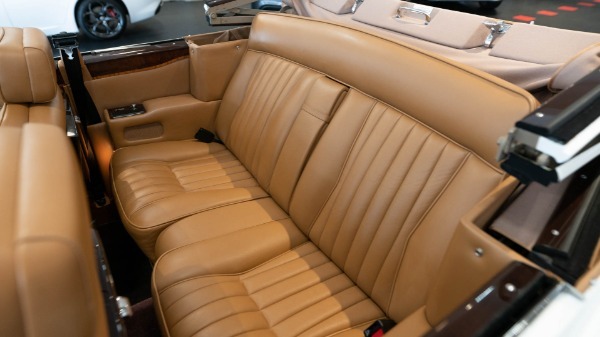 The interior is as new, and the rear seat looks to have never held a passenger. 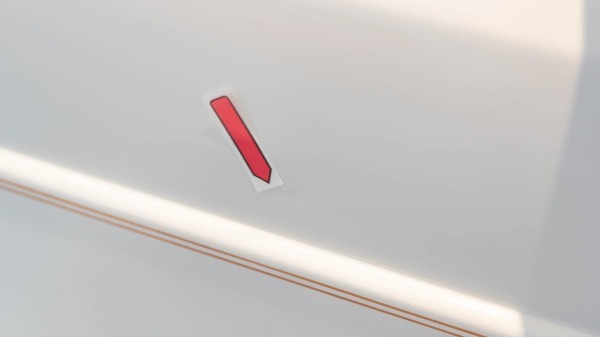 The top is perfectly operational, and shows no wear on the canvas. 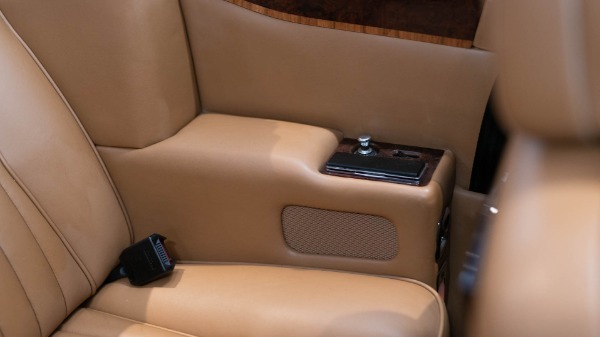 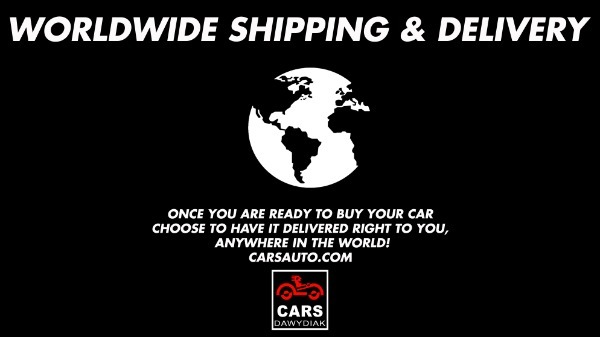 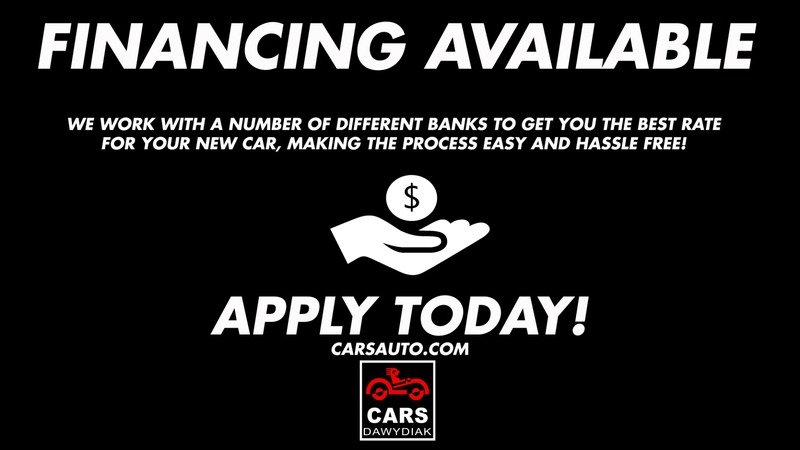 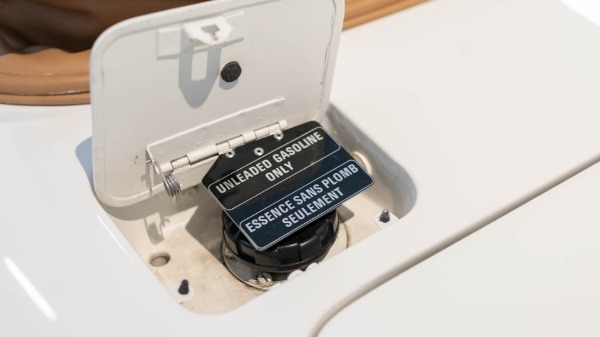 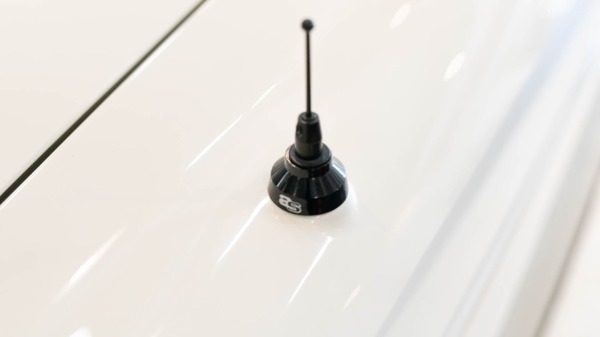 All accessories and features are operational as well. 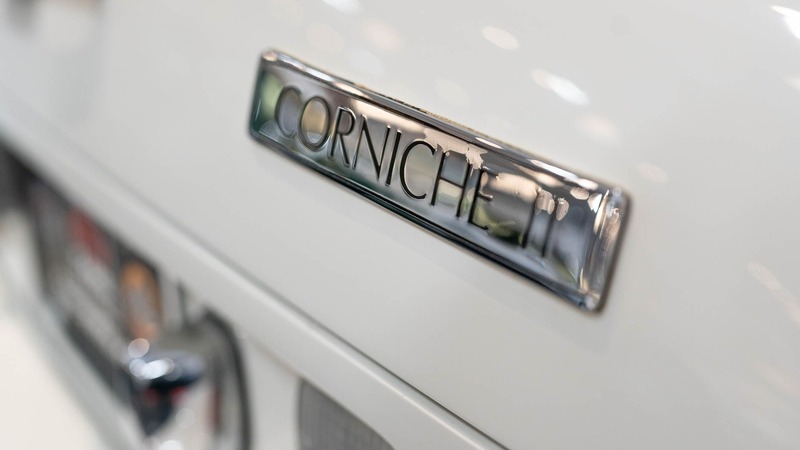 This is truly the closest example to a new vintage Corniche on the market, and perhaps on the planet. 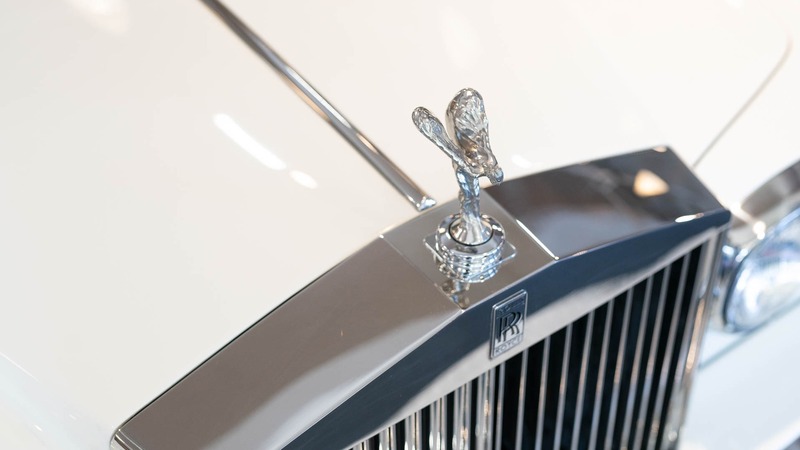 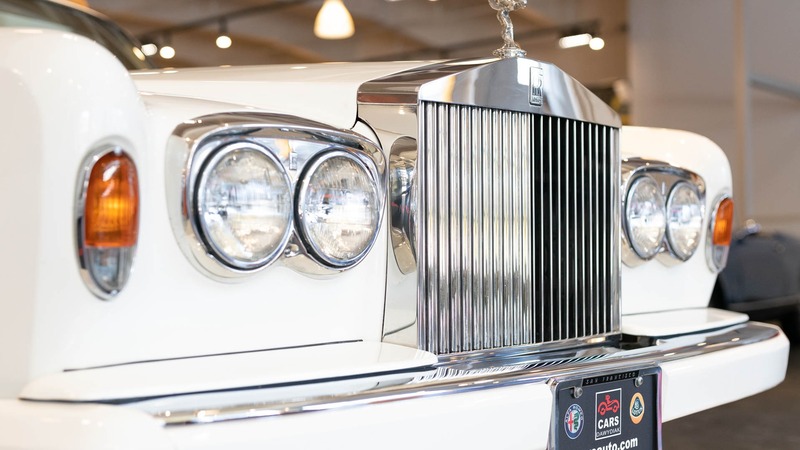 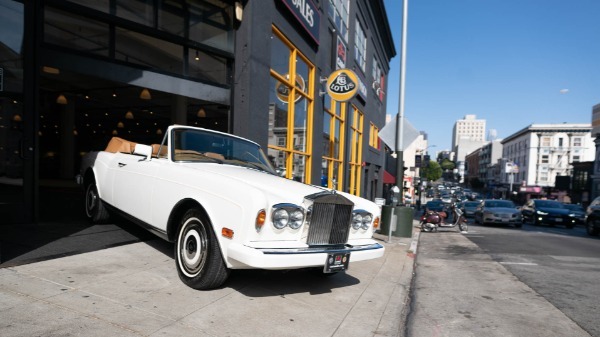 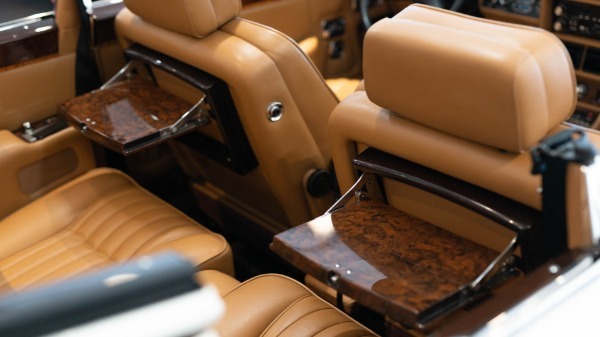 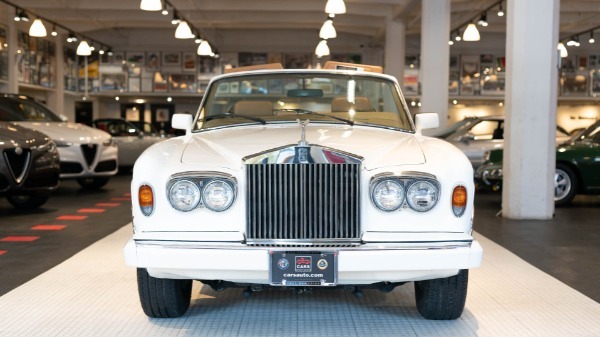 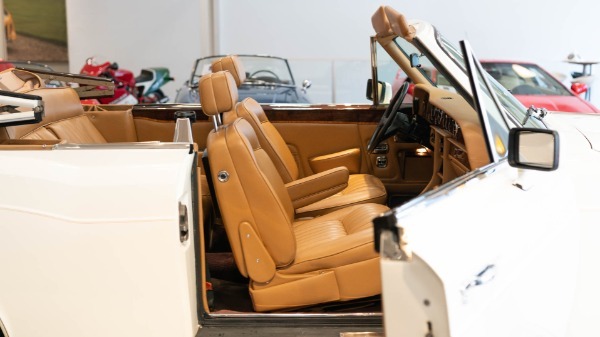 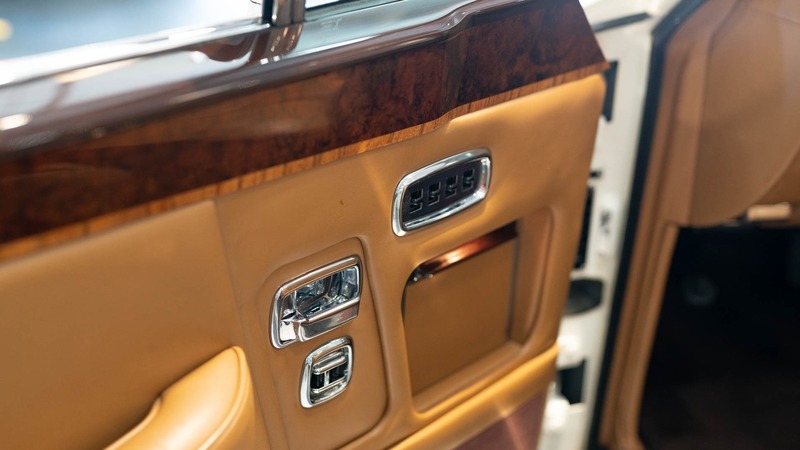 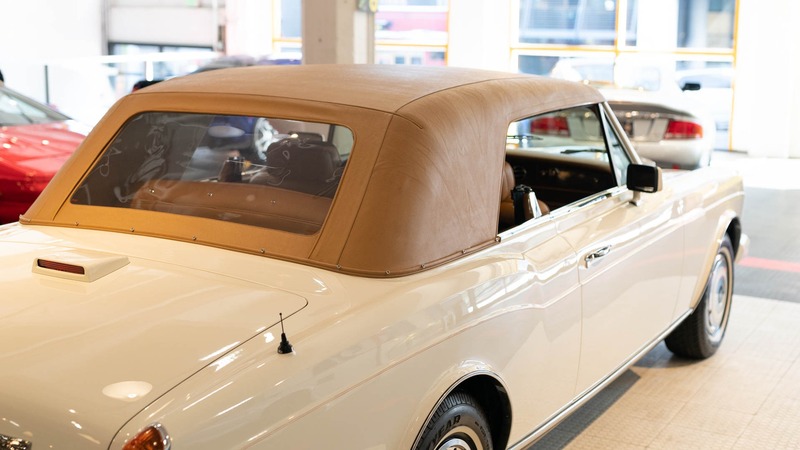 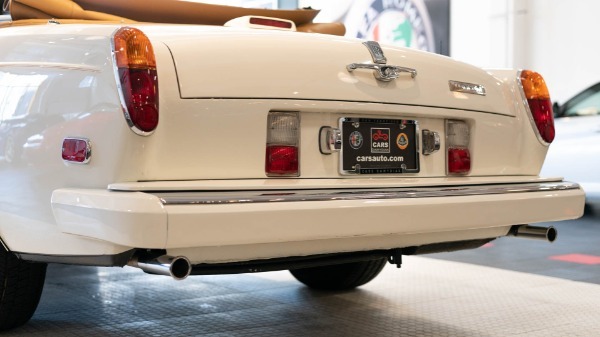 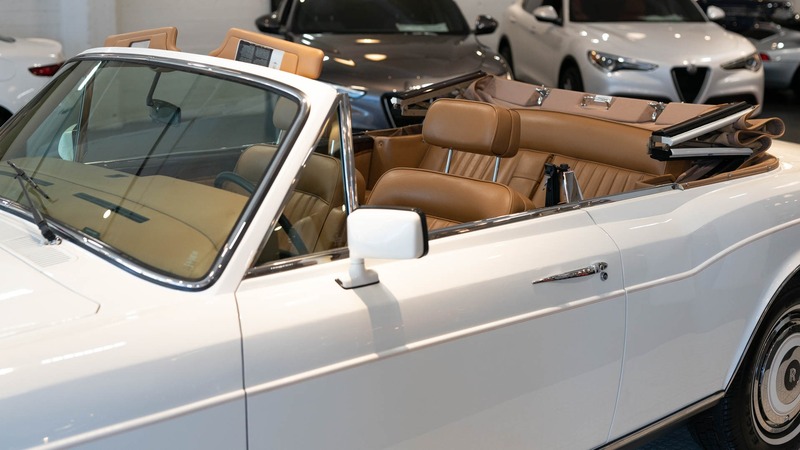 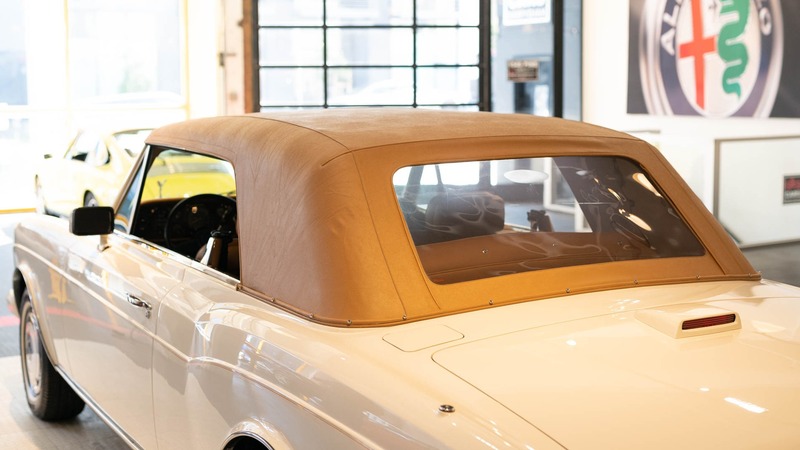 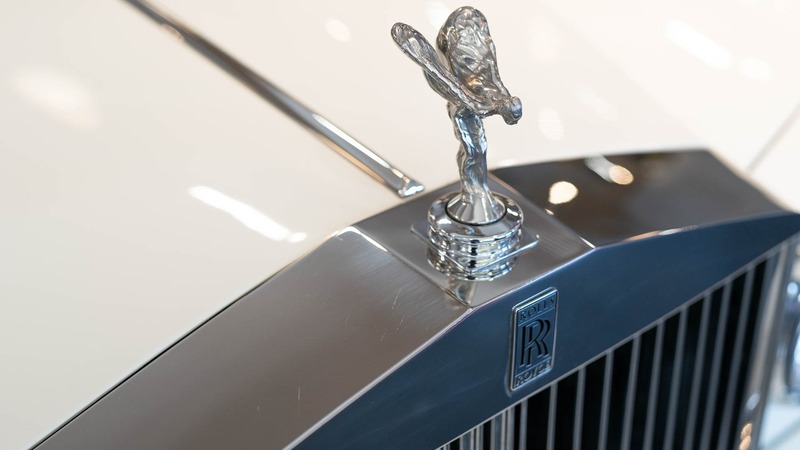 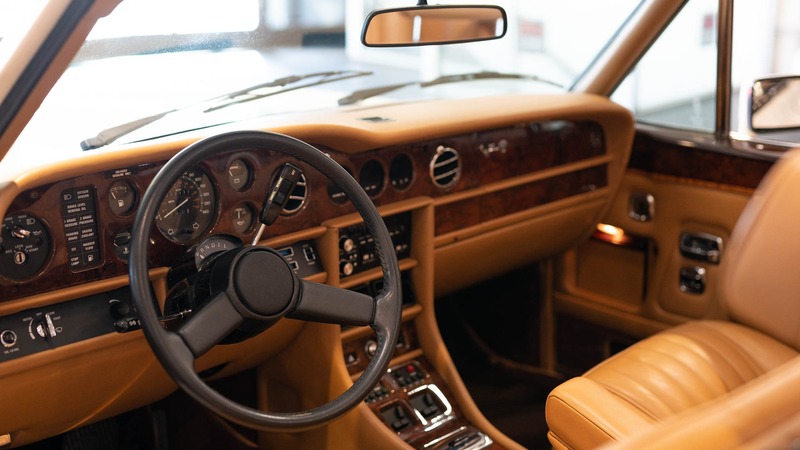 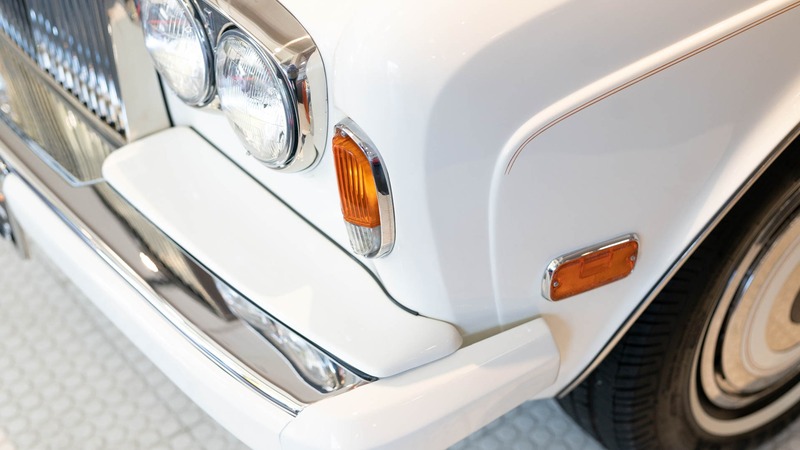 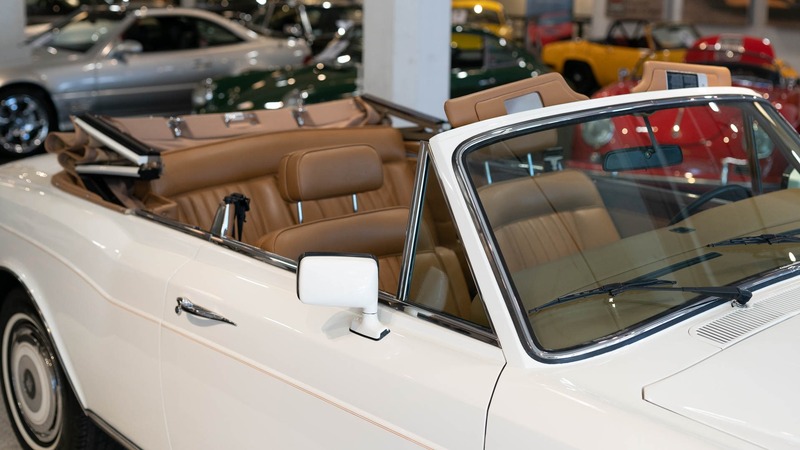 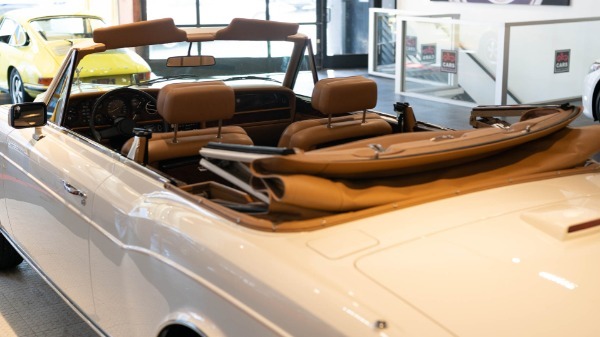 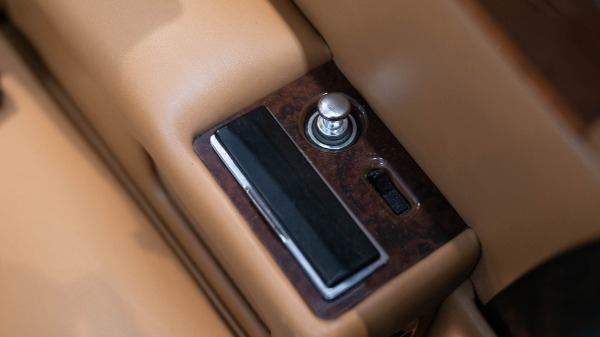 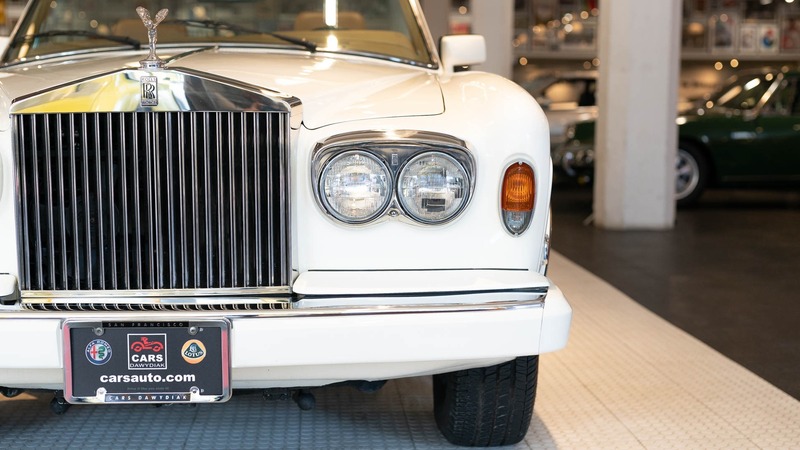 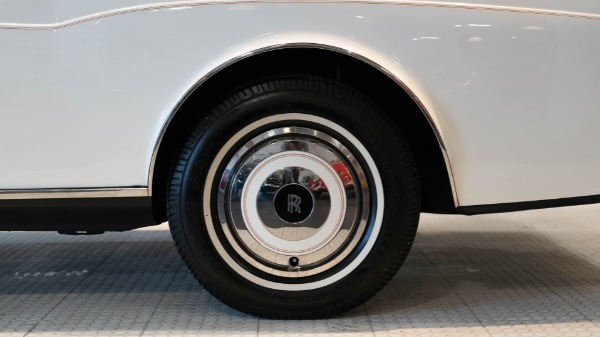 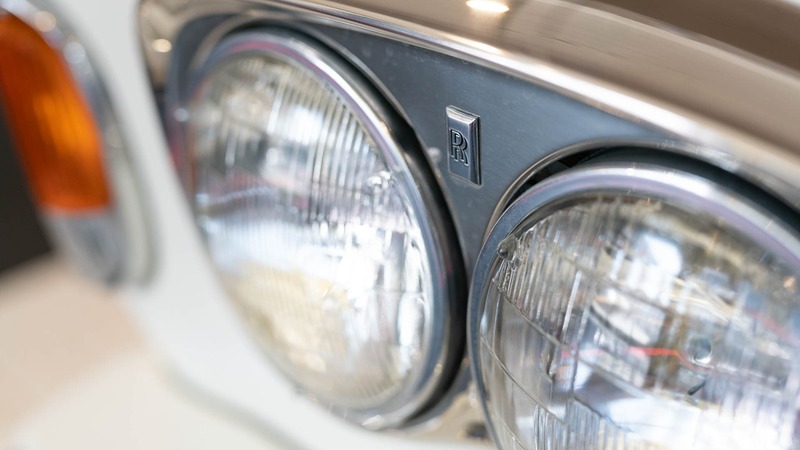 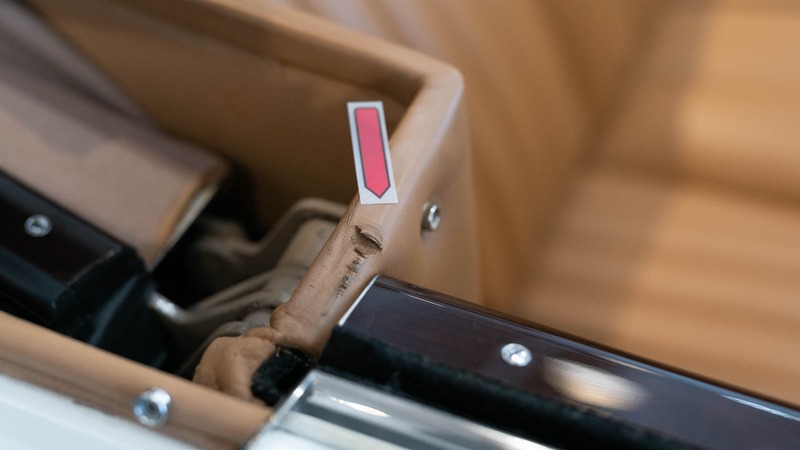 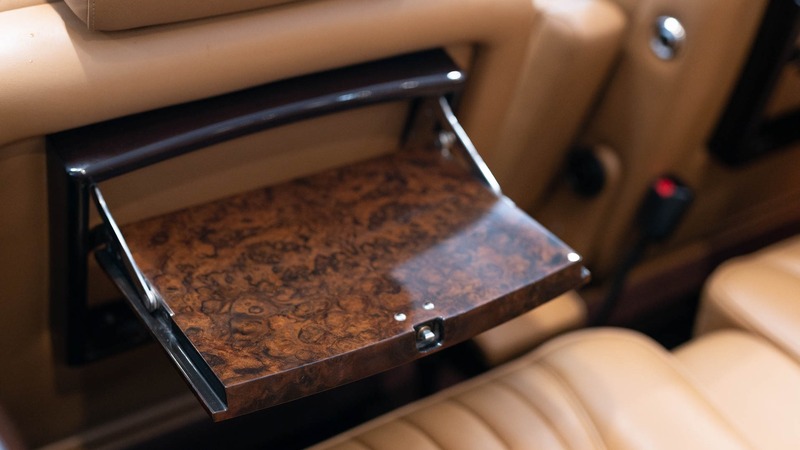 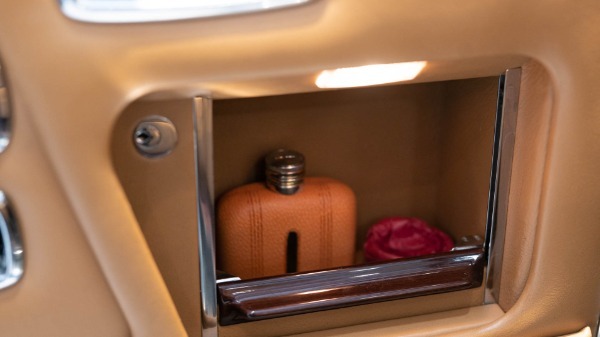 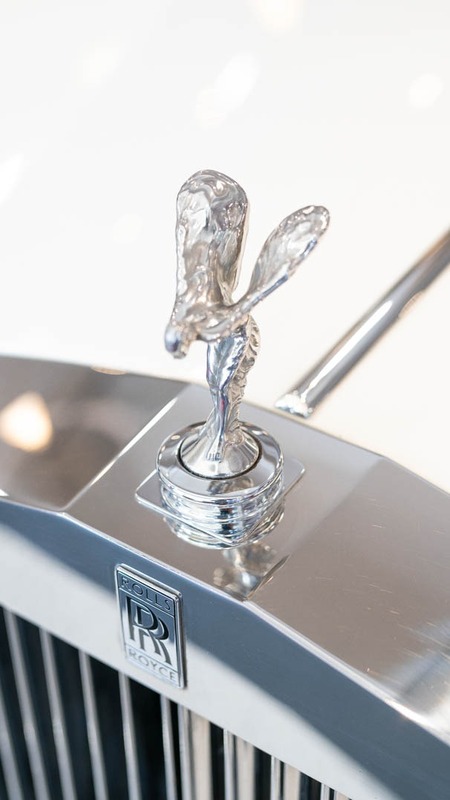 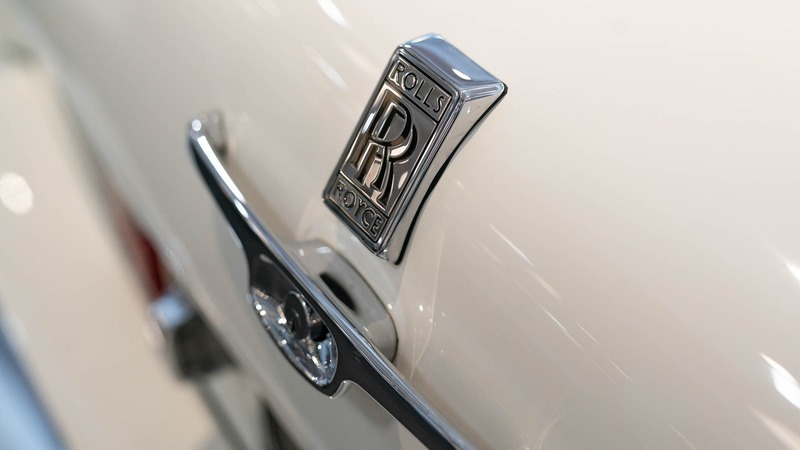 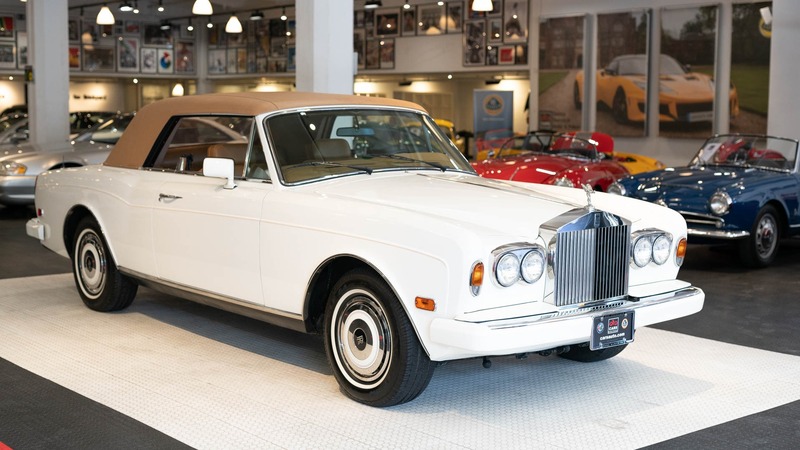 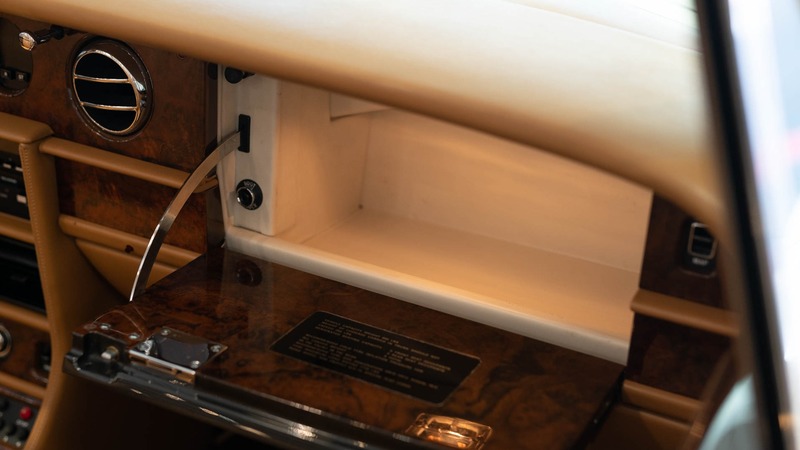 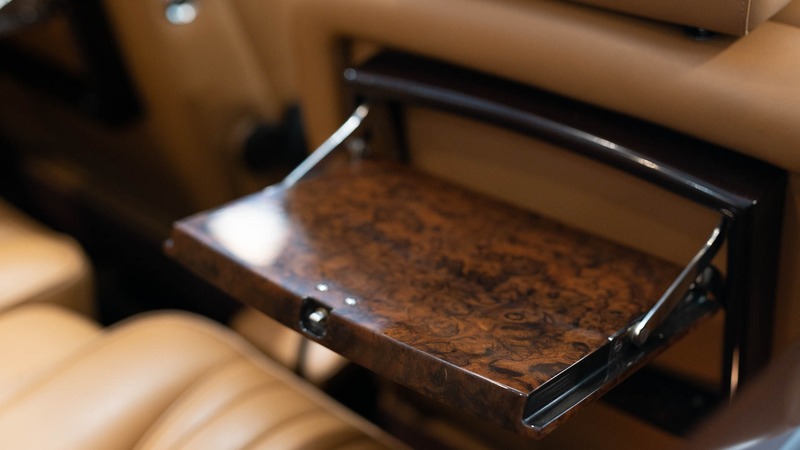 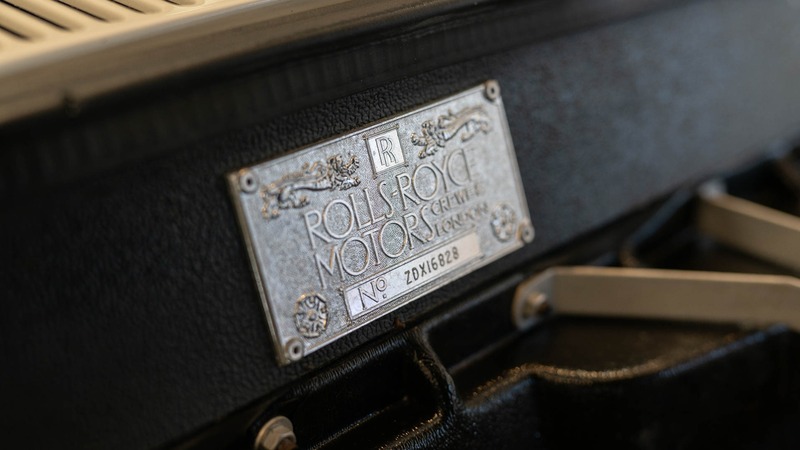 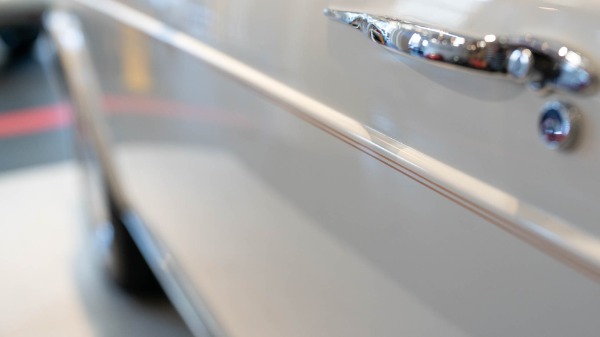 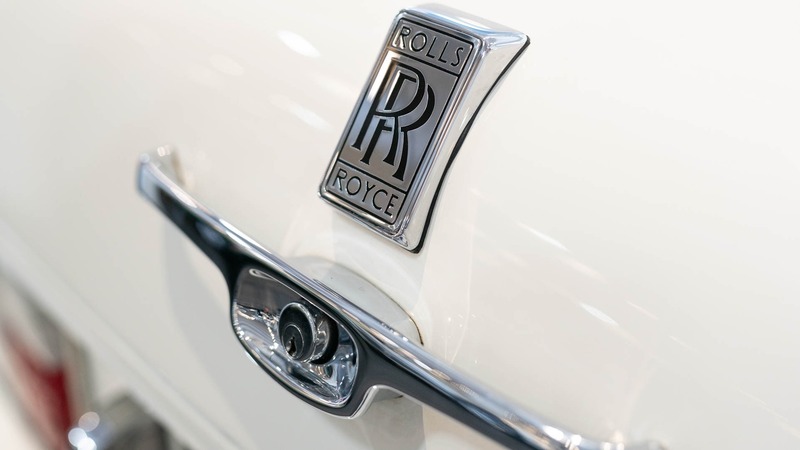 Essentially being the coupe and convertible versions of the Silver Shadow, the Rolls-Royce Corniche continued the use of the Shadows unibody construction. The car was smaller and squarer than earlier models, though the Corniche was aimed at buyers who insisted on coachbuilt bodies. 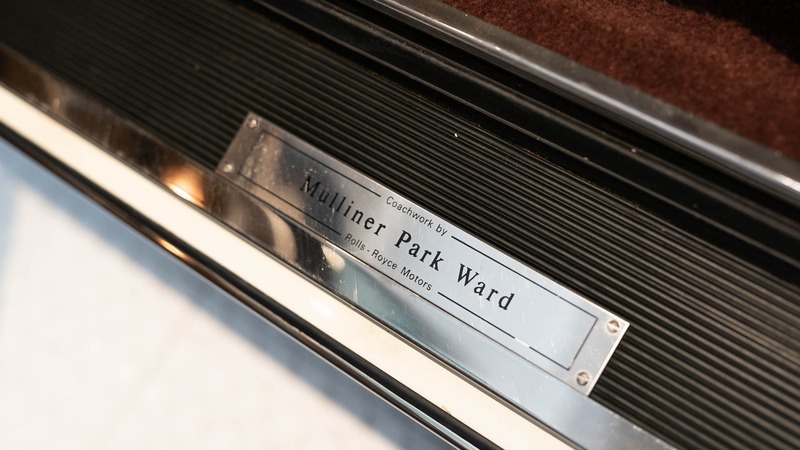 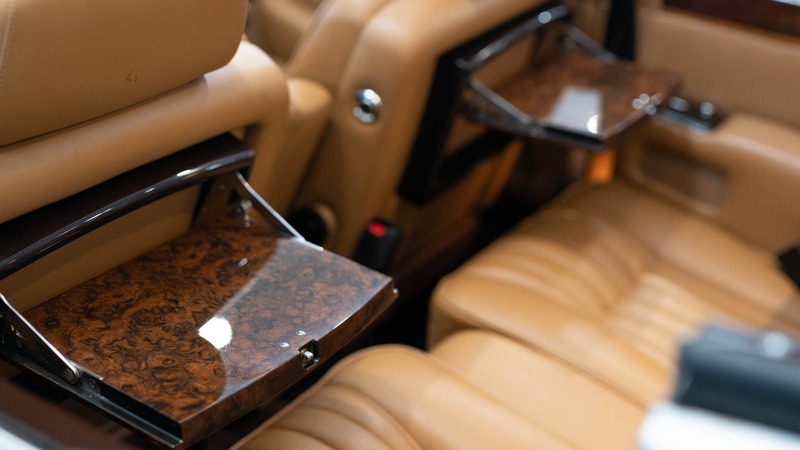 The Mulliner Park Ward design took four months to build two weeks alone were spent just creating the convertibles top. 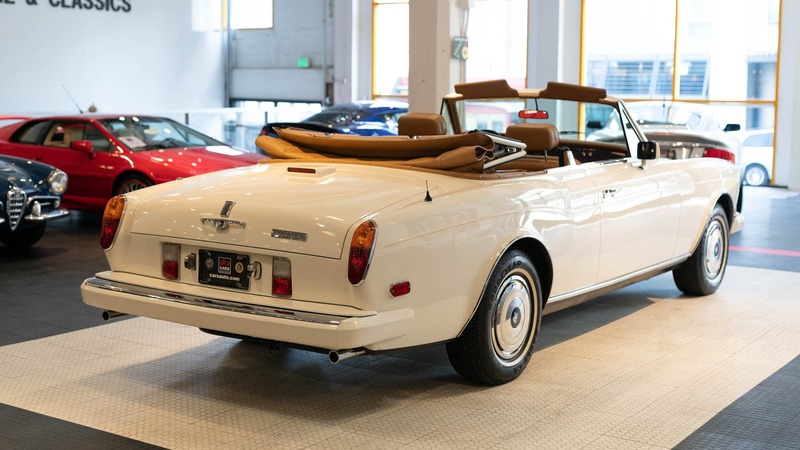 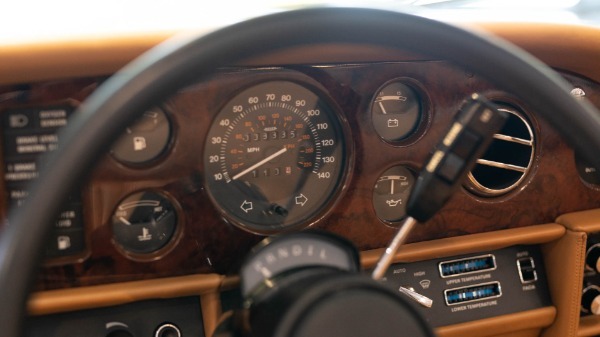 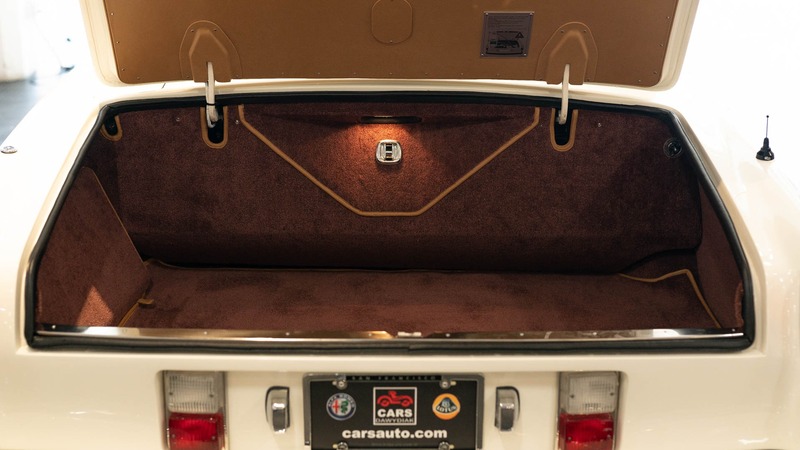 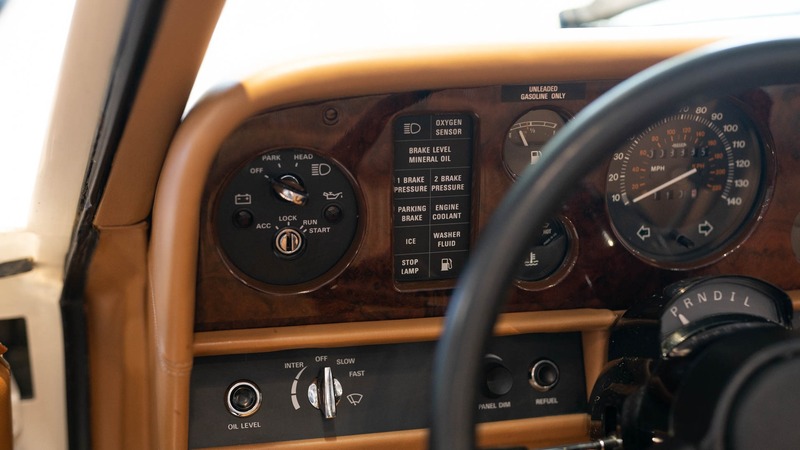 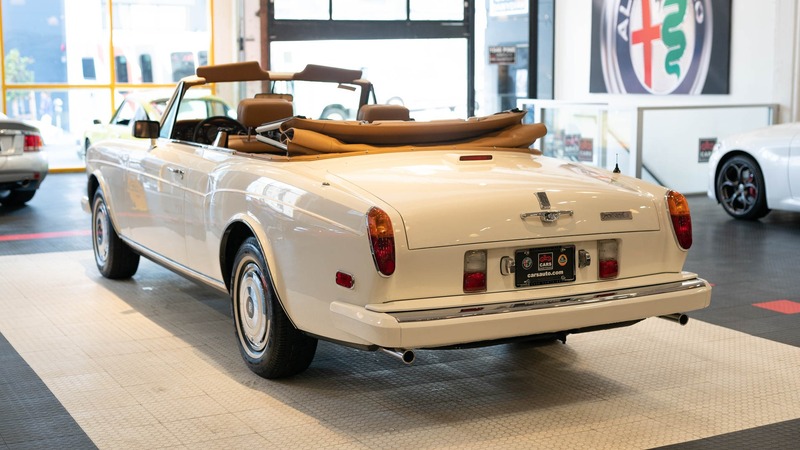 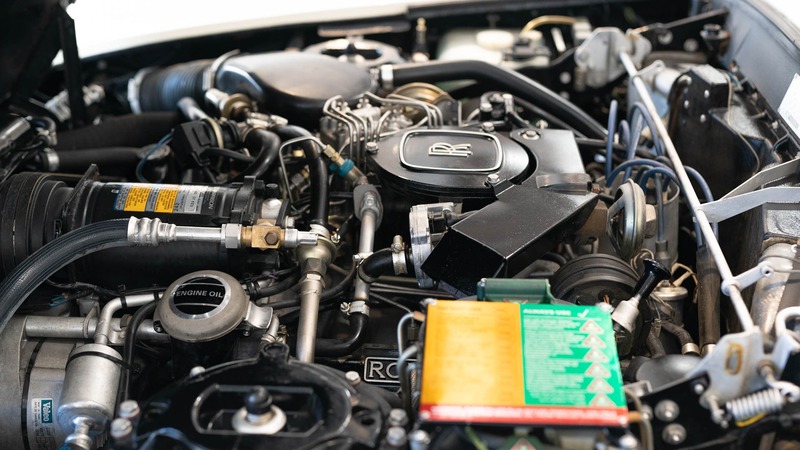 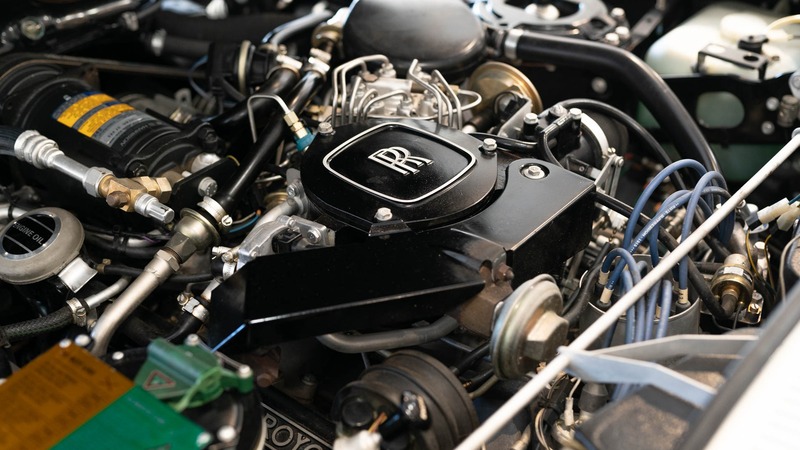 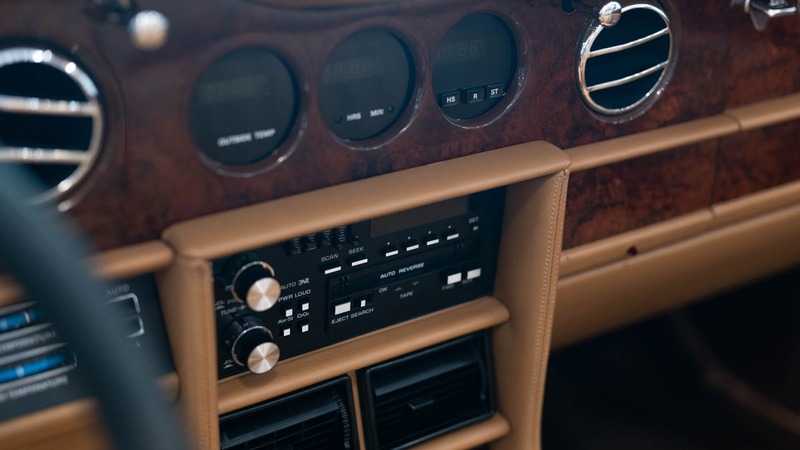 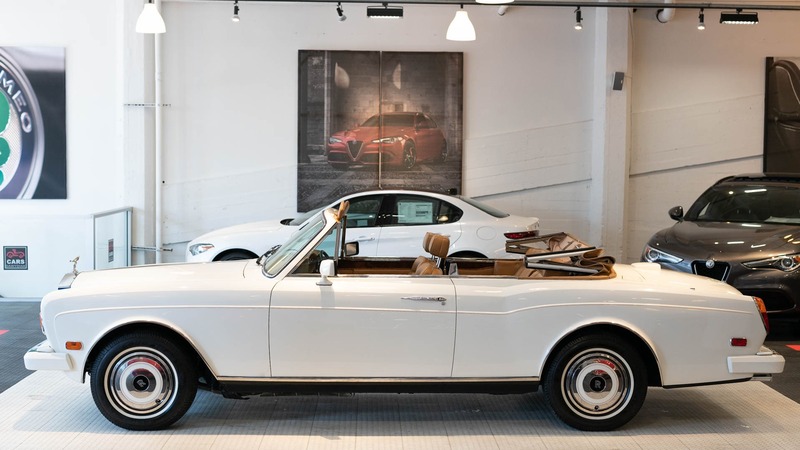 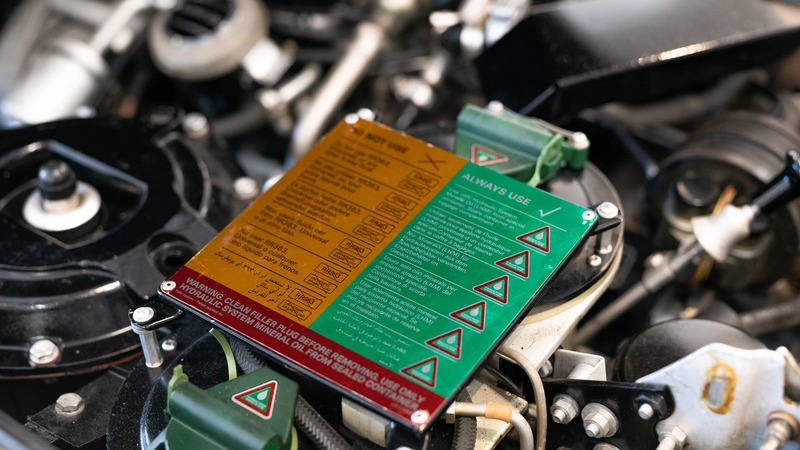 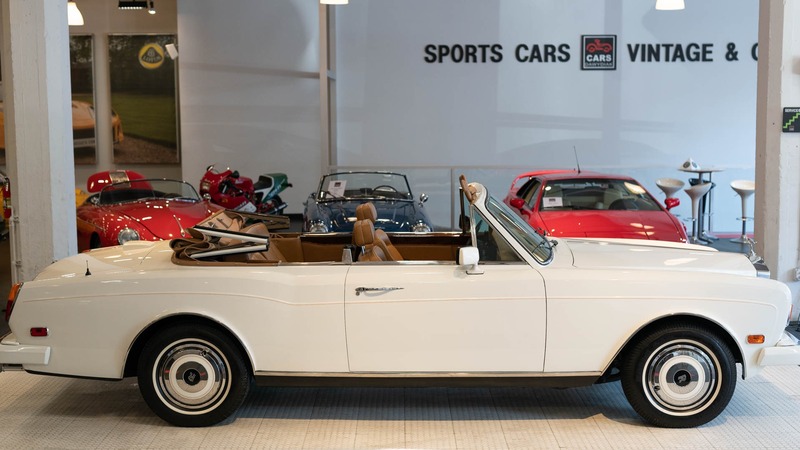 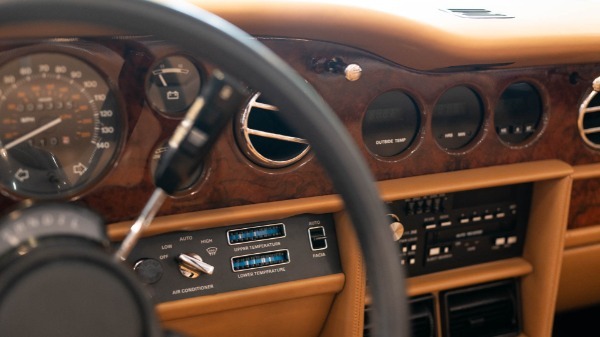 Powered by a 6,750-cc, Bosch fuel-injected OHV V-8, the Corniche was hand-built, and despite its weight of almost three tons, topped out at 120 mph, with 0-60 mph reached in fewer than ten seconds. 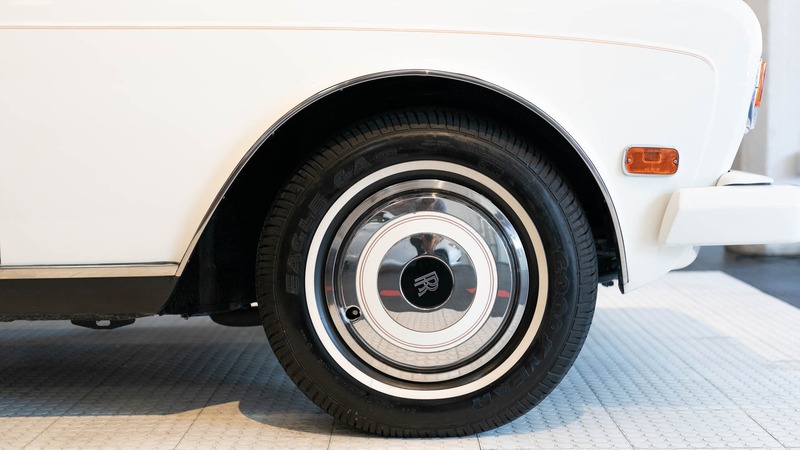 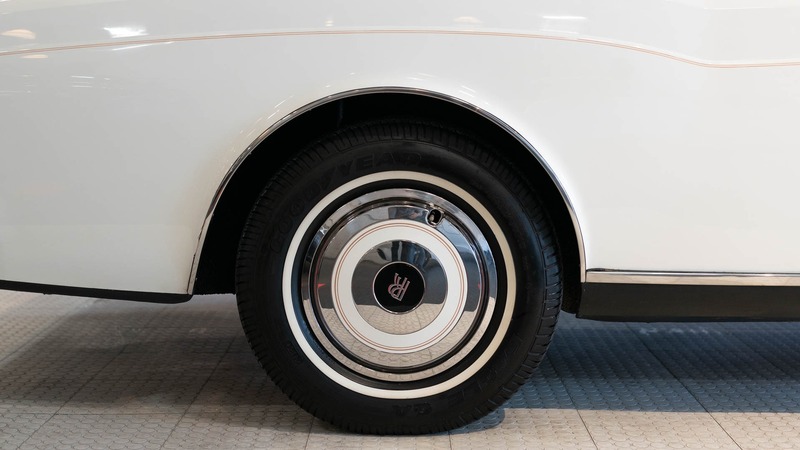 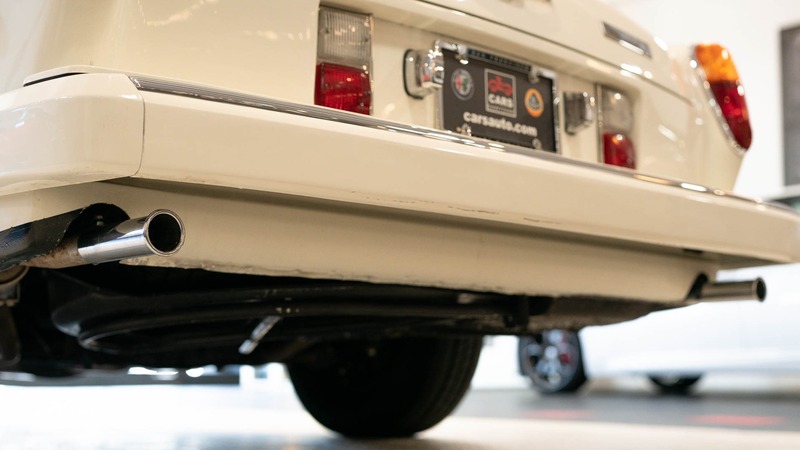 The self-leveling suspension was based on the Citroen hydraulic system and the Corniche employed power disc brakes, like the Shadow. 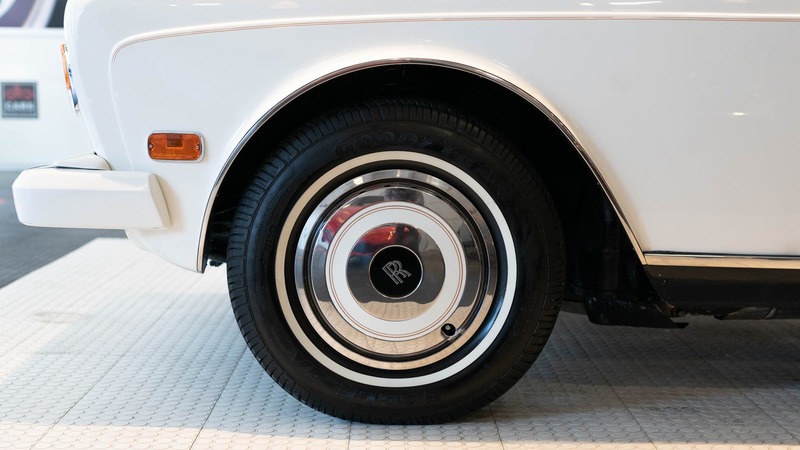 The major mechanical difference in the Corniche II, which was introduced in 1977, was rack-and-pinion steering. 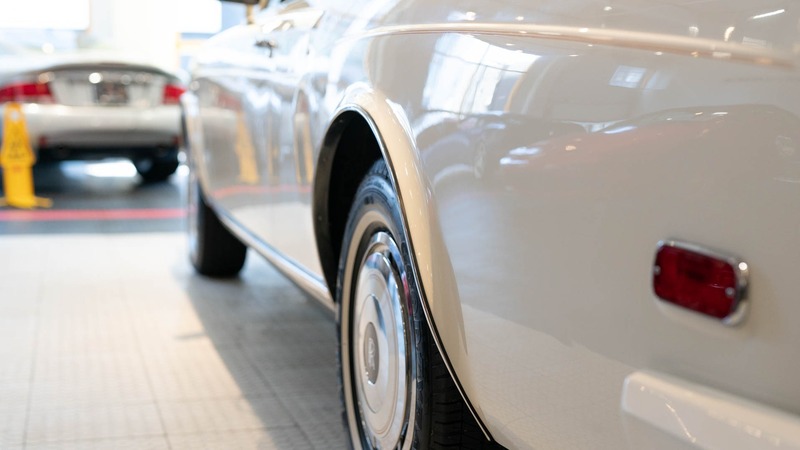 Alloy and rubber bumpers replaced earlier chrome ones. 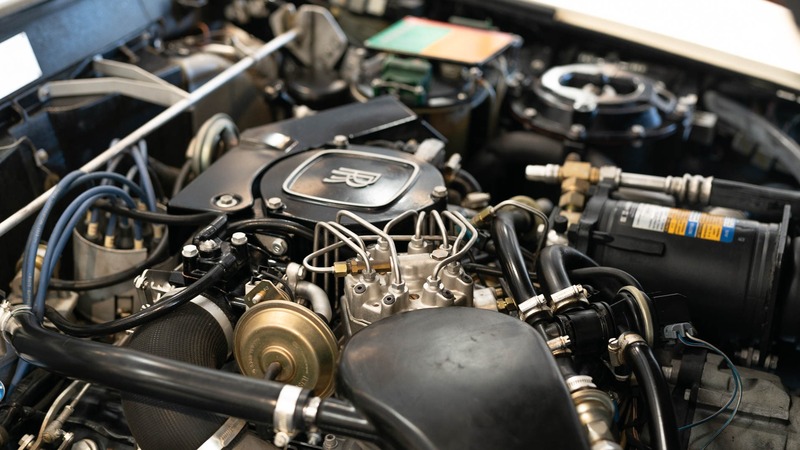 An aluminum radiator was substituted, and an oil cooler and a bi-level air conditioning system were added. 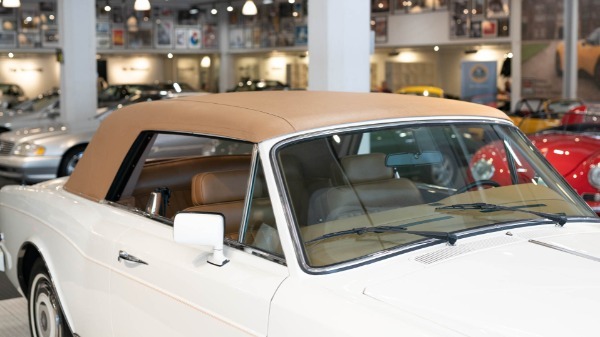 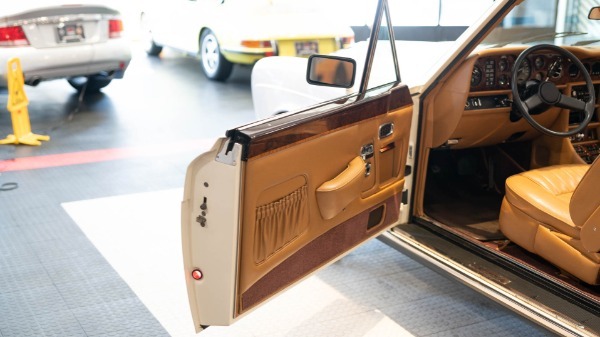 In 1981, the fixed-head coupe body style was discontinued, making the Corniche a convertible-only model. 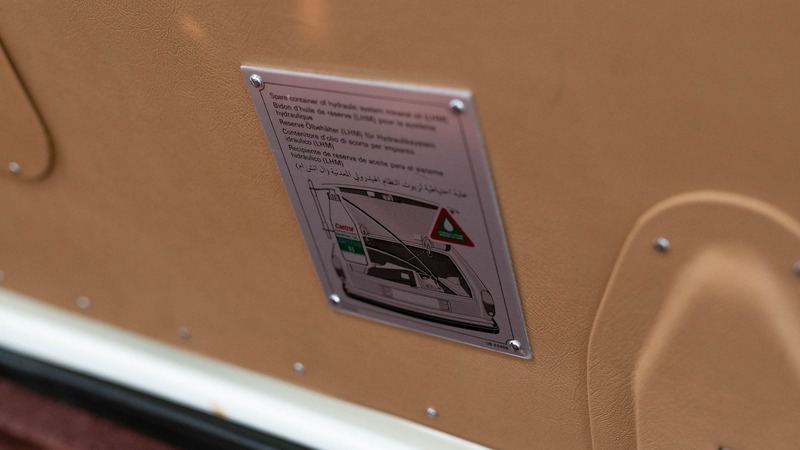 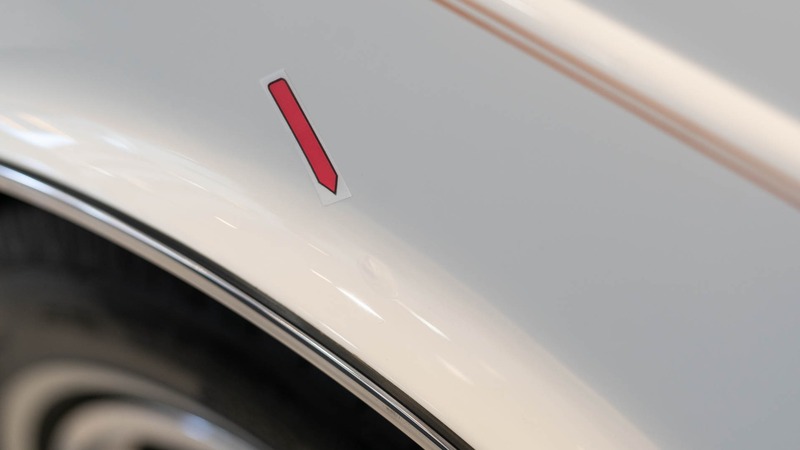 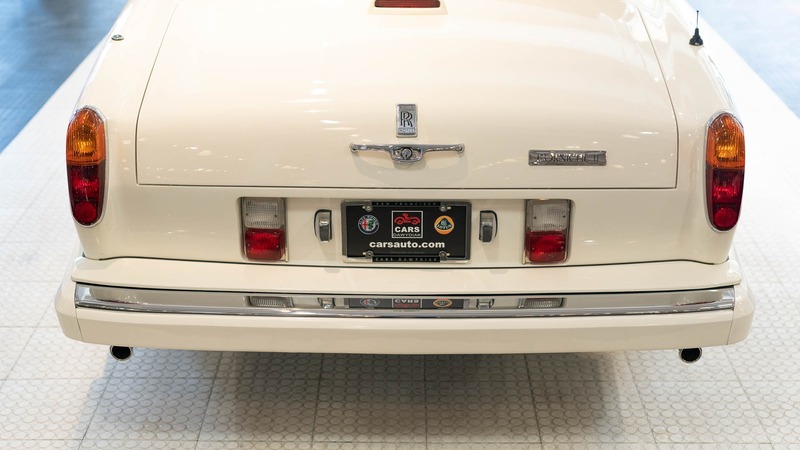 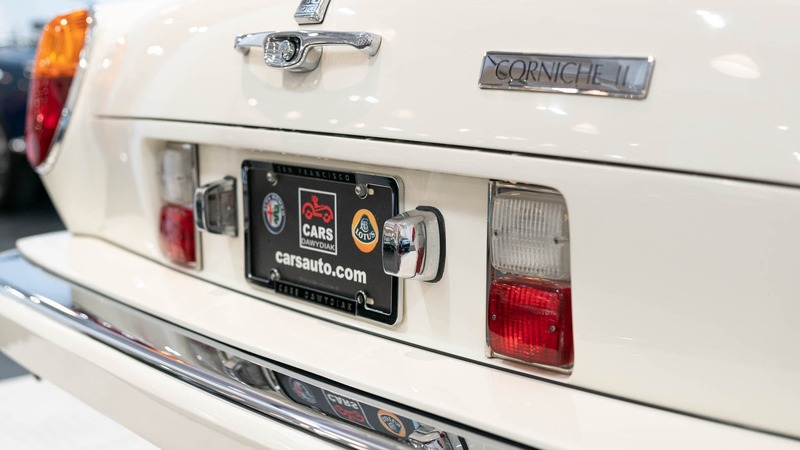 A special medallion was applied to the rear decklid of the Corniche when new, but some Silver Shadows also display them today. 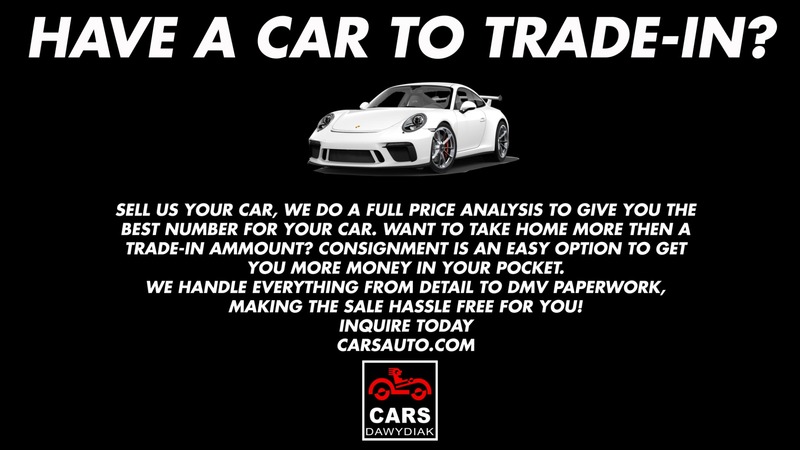 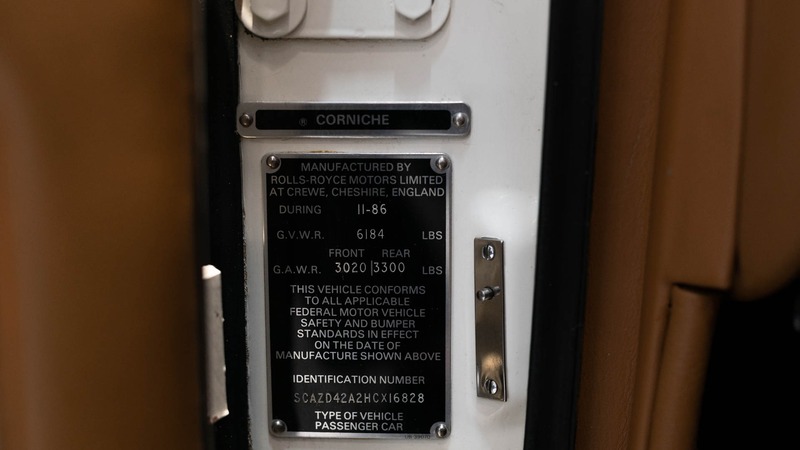 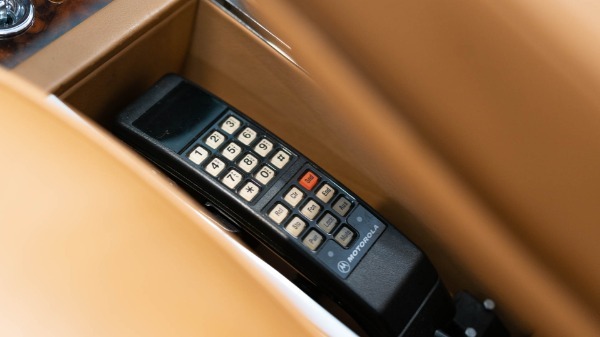 Informed buyers know to confirm the chassis number before paying the premium for a true Corniche, which cost $205,500 by 1989. 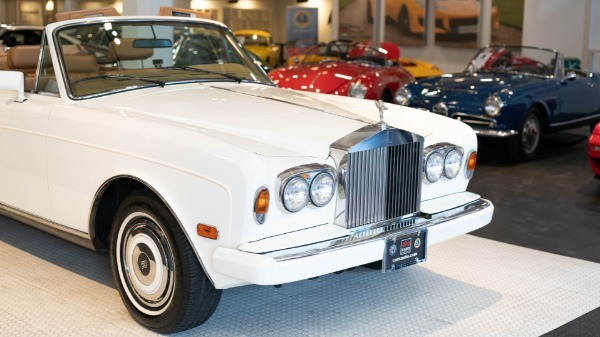 Overall, Rolls-Royce built 1,234 Corniche IIs built between 1977-89. 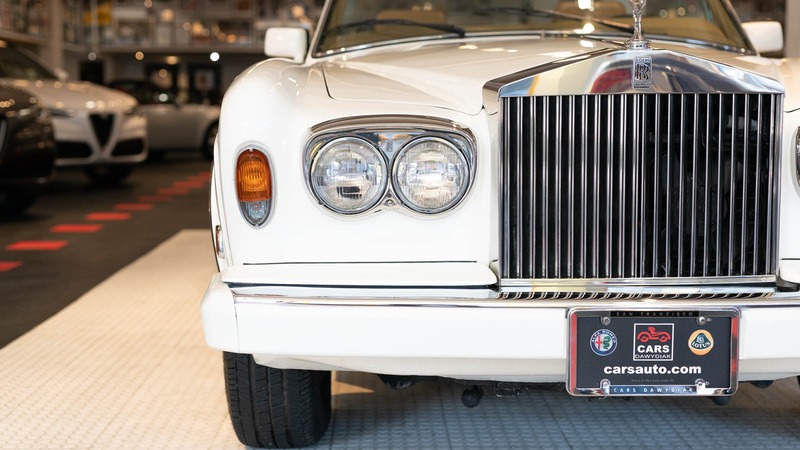 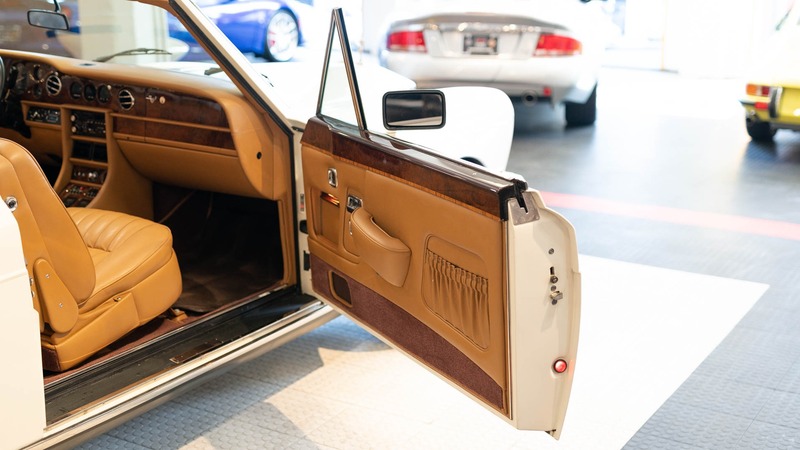 The Corniche III debuted in 1989, with its most notable differences from the Corniche II being new alloy wheels, standard air bags, body-color bumpers, and a refined suspension system.